Hospital and nursing home discharge planners do all they can to prevent avoidable readmissions. They want to ensure that patients leaving the facility will be safe at home. In an article from the Kiser Health Foundation, hospital readmission rates in all 50 states were examined. 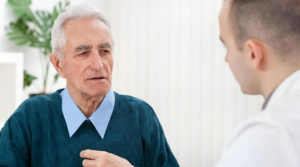 The results showed that a whopping 98% of hospitals in New Jersey were penalized for too many readmissions among elderly patients within 30 days post discharge. Unfortunately, one of the primary reasons people need to be readmitted to the hospital is because they are not taking their medications properly. The following are some important tips to help ensure proper medication adherence and avoid hospital readmissions. Individuals being discharged from a hospital or skilled nursing facility should make sure to schedule a visit with their primary care provider within the first week after discharge. This visit offers your doctor the opportunity to discuss the conditions that led to your hospitalization, and potential changes that need to be made to prevent them from reoccurring. When you visit your doctor, make sure to bring a list of the medications you were taking prior to being hospitalized, as well as the medications prescribed to you post discharge. Medication reconciliation will ensure that you are not taking duplicate medications under different names, that your medication doses are accurate, and that your drug interactions don’t cause your medications to be less effective. In order to minimize the chances for medication errors, there needs to be communication between all of your healthcare providers and caregivers. If you went to see a specialist for a specific problem, make sure your primary care provider knows about that visit, especially if any medications were prescribed! Understanding your medical condition and the details of your medication regimen will increase the chance for proper medication adherence. Don’t be afraid to ask questions that will help you understand the reasons you need to take your medications. Ask about potential side effects and know the differences between the medications that you took before and after your hospitalization. Making the transition from a hospital to a skilled nursing facility, rehabilitation center, or even to home can be very overwhelming. There are so many decisions to make, so much worrying, and so much time off work for family caregivers. If you are feeling stressed out and need professional help to guide you to make the best choices for yourself or a loved one, give us a call at 732-495-2350. Find out how we can make the transition process easier for you.